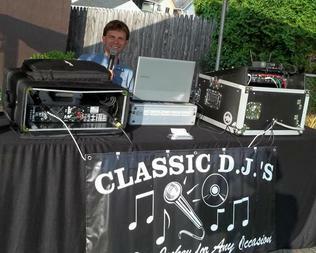 My name is Mike Truszkowski and I have been the proprietor of Classic D.J.’s since 1996. I am a third generation musician and entertainer, as my father and grandfather have instilled 100 plus years of entertainment in my genes. 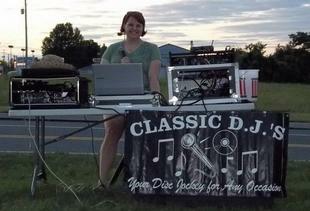 I have always enjoyed being a DJ at various events throughout Pennsylvania and its surrounding states. My earliest and fondest memory of being a disc jockey is being hired to DJ a wedding reception that my mother had to drive me and my friend in my father’s spare van to the reception because we were only 14 years old. We started out with handed down band equipment and gained much experience as our jobs and reputation grew. As a “Truszkowski” thing, I have always believed that interacting and entertaining the audience is the key to making each event as unique as we are all born to be. After my father’s passing in 2009, I had the opportunity to be a radio disc jockey and continue to host my father’s popular weekly polka radio program known as “Jolly Joe’s Bavarian Bandstand” on Sunday mornings from 10 AM-1 PM on 1340 AM WICK in Scranton, Pennsylvania. Through the many experiences with my father’s radio show and from playing in his band, along with a strong family heritage in Polish and German backgrounds, I have developed another facet of my disc jockey business that became “Mike’s Bavarian Bandstand”. Since Polkas and Oktoberfests will always be repopulated during the summer picnics and in the fall with beer stein drinking songs, Mike’s Bavarian Bandstand provides good timeless polkas and fun traditional Oktoberfest music and toasts! Ein Prosit! Mike's wife and assistant, Melissa, is helping out at a car cruise for the Special Olympics. Mike at a local church bazaar playing a variety of music. 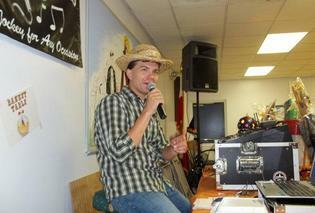 Mike at a fall festival telling some scarecrow jokes! 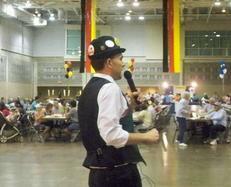 Mike is entertaining the crowd at Ocean City's 30th annual Oktoberfest. Mike is a volunteer bugler for Veteran organizations and has played TAPS on trumpet and bugle since 1997. Mike proudly continues to do so for whenever a live bugler is requested. If you need a bugler, call Mike. 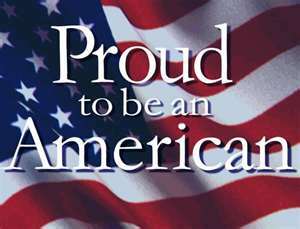 He is a proud memeber of the "Sons of the Amvets Post 59" of Hanover Township, PA and the "Sons of the American Legion Post 9" of Easton, PA.